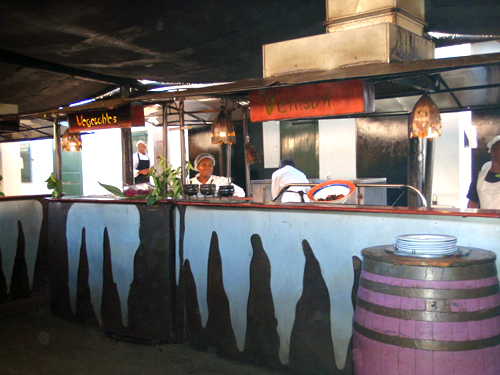 As far as authentic African cuisine goes, there are two restaurants that you need to visit if you ever go to Cape Town. 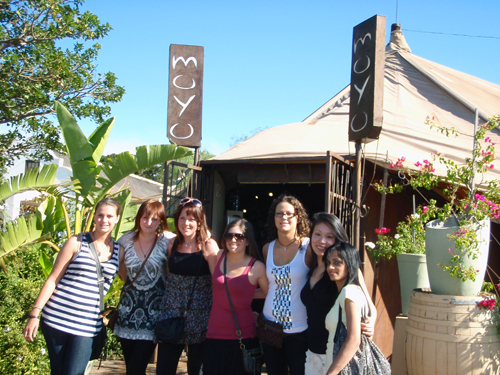 The first is called Moyo and is located in Stellenbosch, a beautiful wine region right outside of the city. 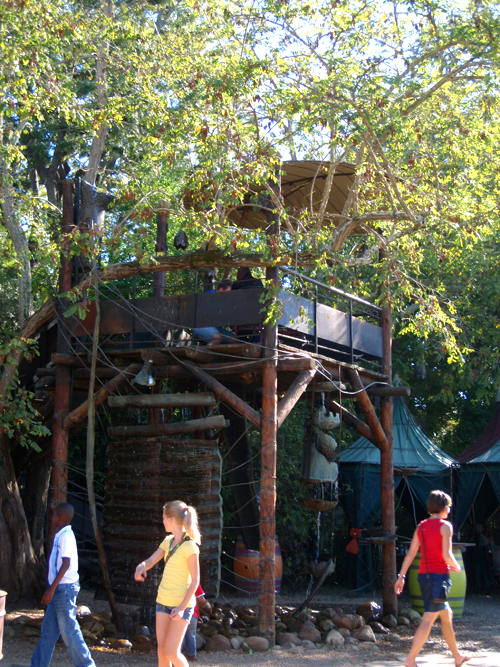 Moyo has a very cool atmosphere with tables up in treehouse-like buildings. They also have live music and African face paintings, but the things that truly makes this place amazing is, of course, the food. There is a giant buffet with multiple stations. They serve you every possible African food you could think of. The buffet begins with every type of meat you could imagine, including ostrich! Next came vegetables, then starches. 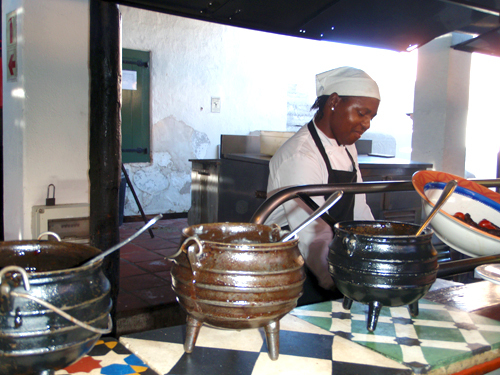 A modern Zulu dish called pop, a cornmeal porridge, is popular throughout South Africa. 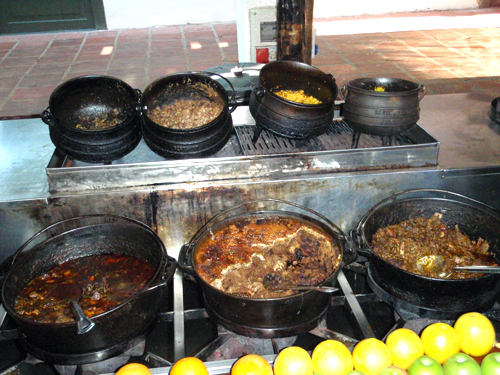 Then came the potjiekos, which are stews cooked in black pots over flames. The potjiekos pots are great because you can throw practically anything into them and make a delicious stew. I really wanted to bring one back with me, but it would have been a bit of a hassle. I guess I will just have to settle with my crock pot. Next, yes there is more, came the tagines. Many of the girls were uneasy about these, but they included many authentic African flavors and were good to try. Finally came the desserts with all sorts of pastries, cakes puddings. Once the meal was over I had eaten two plates of food and two plates of desserts, but boy was it worth it! Overall, I would have to say that Moyo is the place to go near Cape Town to really get the full experience of authentic African cuisine. 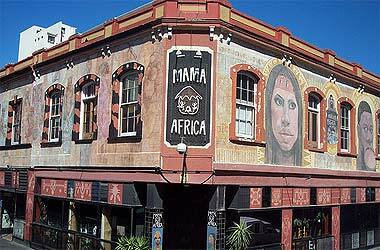 The second African restaurant that I think is necessary to visit is Mama Africa. It is in the heart of Cape Town on Long Street, a popular area with great nightlife, shops and restaurants. 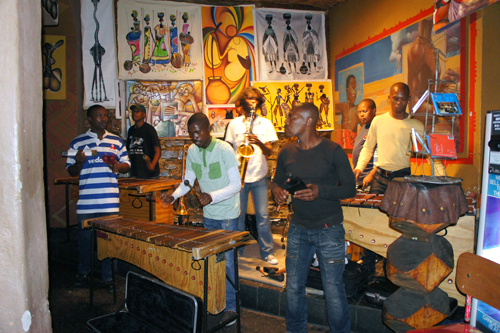 This restaurant also has authentic African dishes and live music that is more the center of attention. I ended up buying a CD from the band! This is a great restaurant to go to before heading out for a night on Long Street. 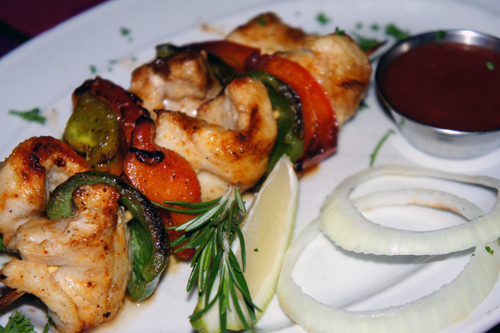 I had delicious crocodile kebabs with peri peri sauce for an appetizer and mango chicken for my main. Peri peri sauce is a very popular chile sauce in South Africa that is a perfect seasoning for meats. The crocodile actually tasted very similar to chicken, but a little softer. It was delicious! 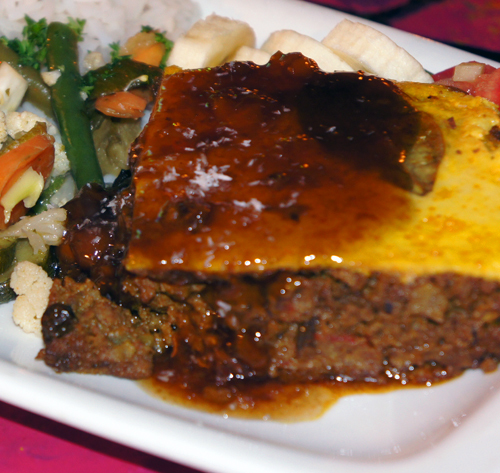 My friend had bobotie, which is beef mince baked with an egg topping and a sweet sauce. At first I thought it would be strange, but it was the best thing I tasted all night. 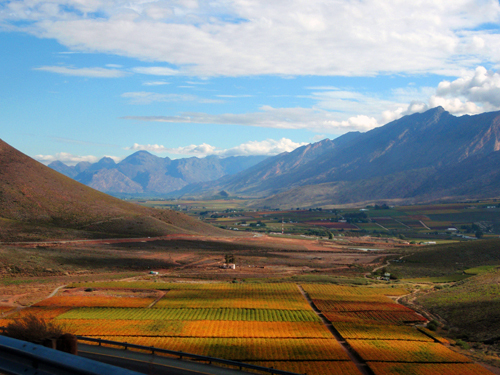 If you ever get a chance to visit Cape Town I insist that you take advantage of it! It was so beautiful and a great place for a foodie. Oh SO glad you went to Moyo!! It is one of my favorite spots in Stellenbosch – I fell in love with that big giant tree. Definitely a great city for food! Welcome home (even with the snow). Yeah it was such a cool place! The cheetah sanctuary was cool too. Those kebabs look yummy! Don’t you just detest jet lag!? It was great to read about your trip! I don’t know when I’ll have the chance to visit Cape Town, but if I do, I’ll make sure to check out those restaurants – I love trying out new foods. My Dad lives in Cape Town and every time we visit all we do is eat! The choice and quality of food is outstanding and the service is the best I’ve ever had. I haven’t tried those two restaurants but will definitely put them on the enormous “to try” list for next time, can’t wait!! I’ve been to Moyo, except you look warm and when I was there it was FREEZING! They gave everyone blankets to wrap up in. 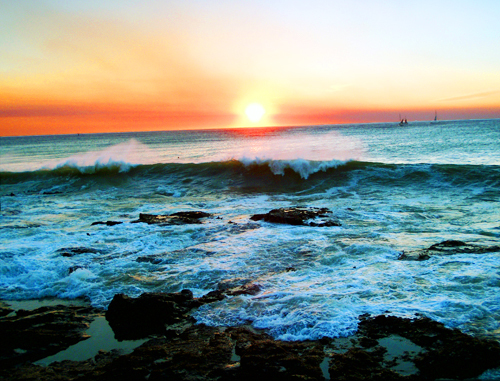 I love Cape Town and all of South Africa. I’m really looking forward to going again next year. The food is fabulous. My partner grown there until 7year old. Firstly it must be said that most of these restaurants will be found in the suburbs hidden away from the hustle and bustle of the tourist crowds, none of them have Michelin Stars or celebrity chefs. You will however be guaranteed a smile when you walk in, good quality food and value for money. What might surprise you the most when you visit these tucked away gems is how busy they are.